Learning to love fitness early can help your child in many different ways. 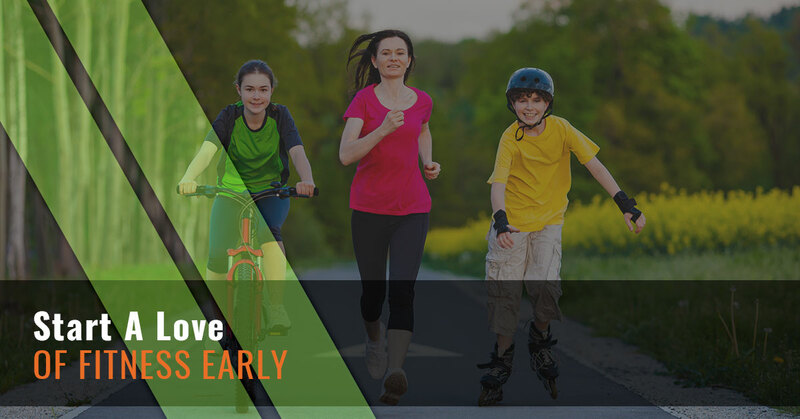 He or she will not only be healthier than other children who didn’t start exercising earlier in life, but they’ll have a better relationship with their body and even their mind can be stronger. At our kids gym, we offer kids fitness services that are not only fun, but they will also help your child develop his or her character. Exercising earlier in life doesn’t just have to do with becoming stronger, it can also help your child learn something about themselves. For example, how to push themselves more or how failure isn’t actually an option; it’s just a lesson. At Hot Ground Gym® in Vernon Hills, we strive to help your child work on skills they can take with them for the rest of their lives as well as start to adore fitness early. For more information on helping your child love fitness, contact our kids gym today. We supplied a few benefits that will help you further understand the benefits of exercising earlier. In today’s school system, it’s encouraging that children get an hour of physical activity a day; however, sometimes that’s not enough, especially if you have a child that has a lot of energy. Below you’ll find a few different benefits that will help you fully understand the benefits of learning that exercise can be fun and enjoyable when you find something that you enjoy doing. Did you know that exercising can make you happier? You probably did, but did you know that the highest level of happiness that you’ll feel is when you just start out exercising? When it comes to children, you’ll notice that a lot of them are happier when they are releasing all of that energy and the knowledge that it feels good to move your body will help your child continue on with fitness. When your exercise, endorphins will be released, which makes it more addictive. Once that addictive effect takes place, more exercise will be needed to maintain that euphoria. Failure is something that people learn early. From taking those first few steps and falling to feeling like a failure because you haven’t reached those big moments in life such as marriage, failure can be really difficult to swallow. However, when you start to understand failure as a youngster, it’ll help you understand that each time you fall, there’s a lesson somewhere in it. For example, if your child doesn’t do his or her best in a mission one week, then they can take what they learned to make sure that they can do better next time. Instead of viewing each time that your child is knocked down, exercise will help them learn that all they need to do is get back up and not stay down because something didn’t work out. This will be carried on through many aspects of life and well into adulthood. Similar to learning a lesson instead of feeling like he or she failed, your child will learn how to cope with different obstacles in life better. For example, if your child isn’t doing well in school or is feeling pressured, they may turn to things that make them feel good such as food, videogames, or some other coping mechanism. However, when it is identified that exercising makes you feel good, then your child will go for a run, swim, or head to the gym because they can cope in a healthy manner with things that cause them stress. No matter how old you may be, learning to cope with stress and life’s’ obstacles early on will be extremely beneficial. Your child will be much healthier when he or she learns to love exercising. Childhood obesity, while not on the rise, is still an issue in America. It’s best to learn early on how to combat weight gain and how to regulate it. Exercise will help your child grow stronger and increase motor skills as well as conditioning. Kids who don’t exercise will not have the same development as those who do participate in fitness. There’s a reason after all that an hour of fitness is incorporated in schools throughout the United States. The last benefit we have for you today is dedication. Dedication is something that you want your child to learn early because it’s something that will stay with them their whole life. Dedication leads to many places. It leads to pursuing that difficult job. It leads to starting and finishing college. It leads to saving up for that huge trip that’s taken years to plan. It also leads to staying healthy. Being dedicated to something will help you do something even if you don’t feel like doing it. By learning to exercise early, your child will be dedicated to feeling healthy and fostering a love of fitness. Are you interested in joining our kids gym? Reach out today to get started!